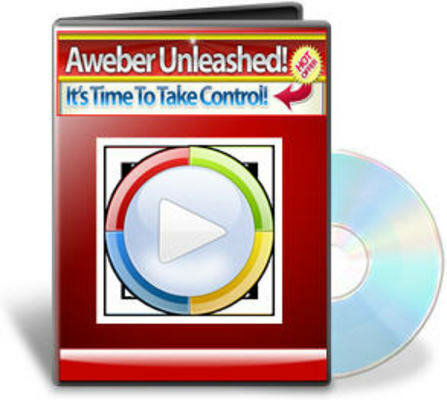 WATCH 1 OF THE PREVIEW VIDEOS IN THE AWEBER UNLEASHED VIDEO SERIES BY CLICKING THE VIDEO ABOVE. If you are an Aweber subscriber, its DOUBTFUL you are using this service to its FULLEST Extent...Learn How here!! Thats why I was thrilled this week when I added 356 people to one list, 274 to another, transferred 8 from one list to another, and sent 4 emails to a combined 3,125 people all in one day without ever logging into my Aweber account! You see, Aweber is the undisputed, most powerful auto responder available to serious marketers. Yet most who pay their monthly fee for this service either let their account sit and collect Virtual Dust (thinking that some day it will magically spring into action and build a massive list for them) or they use only the very basic services and never take full advantage of this simple yet incredibly powerful tool! PLEASE UNDERSTAND! These are not some dry go here/click this type of tutorials! Along the way I share tips/hints, business ideas, and lots of ways to add more cash to your account! Time to send out your message to everyone! Some real Gotchas here to watch out for! Then I share about the POWER of Aweber! Dont you HATE getting the same message over and over again from a marketer? Heres how to avoid doing that yourself! How do you know if your marketing is effective? Heres how! Which subject line, ad, or email got the best results? Heres how to set it up! Imagine each blog entry you make automatically gets sent to your list. Heres how! Want to copy all of your follow up emails to another list of yours or to someone else? Heres how! P.S THIS COMES WITH FULL MASTER RESELL RIGHTS.